MUMBAI: MAX, the Premium Hindi Movies and Special Events channel, invites you to watch the World Television Premier of the blockbuster hit Luv Ka The End, only on MAX. 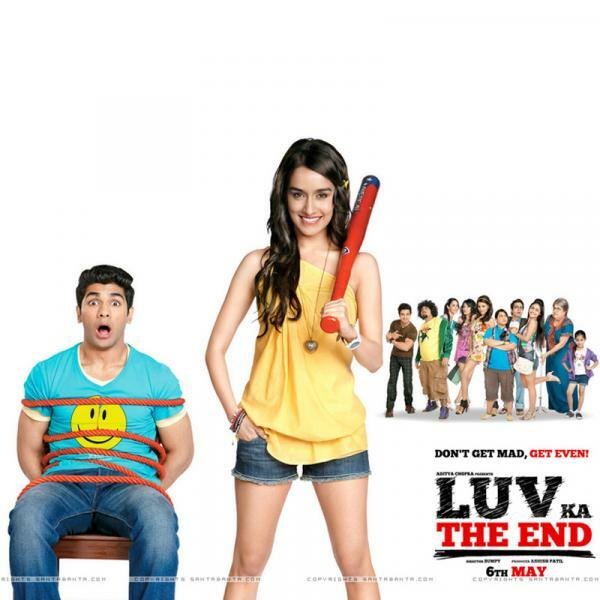 Love Ka The End is a story about Rhea (Shraddha Kapoor) who wants to celebrate her 18th birthday in a very special way. She believes that her dream might just come true when her rich boyfriend, Luv Nanda (Taaha Shah) promises her a night she?ll never forget. Indeed, the night does turn out to be unforgettable, but not the way Rhea imagined. Revenge, not love becomes the tune of the eventful evening, as the 18-year-old Rhea tries to avenge her humiliation and teach her boy-friend a few lessons of love that he?ll never forget. Tune in to discover the meaning of love, life, friendship and more only on MAX which keeps its promise of bringing the best of cinema to its audience and truly lives up to it positioning Deewana Bana De !